The south-west of Western Australia is one of the world's 34 biodiversity ‘hotspots’, with some of the richest and most unique reservoirs of plant and animal life on earth. Through this excursion students will develop an understanding of our unique flora, how it has adapted to our abiotic conditions, and some of the threats to its future. Management of some critical threats will be briefly discussed. 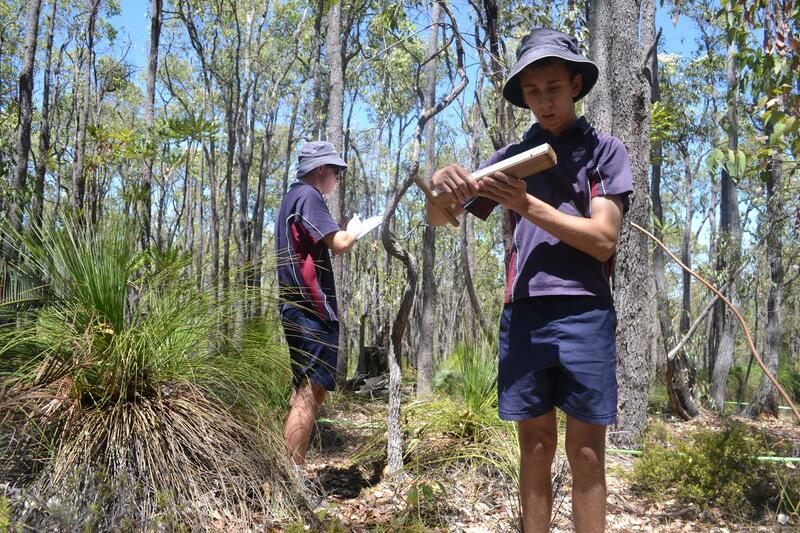 On a forest walk students will be introduced to a range of plants and how they cope with life in the Jarrah/Marri forest. Hands-on data collection covers two methods – quadrats and transects (line and belt). Excursion runs from 10am to 2pm including 30min for morning tea and lunch. Start and finish times can be adjusted to your needs. Our booking officer will get back to you via email to confirm your excursion including COST within 5 working days.